We believe the Bible, consisting of sixty-six books of the Old and New Testaments, is the verbally inspired, infallible, inerrant Word of God. The Bible is God-breathed (II Tim. 3:16), and is to be the final authority in all matters of faith and practice. We further believe that God has preserved His Word in the King James Version (KJV). For languages other than English, we believe the translation must be based upon the Textus Receptus (TR), which is the same Greek text the KJV is based upon. For this church, the King James Version of the Bible shall be the official and only translation used by the church (II Tim. 3:16-17; II Pet. 1:20-21). Section 2:The Godhead – We believe in God the Father, God the Son, and God the Holy Spirit existing as three persons, and yet are still One. These are co-eternal in being, co-identical in nature, co-equal in power and glory, and have the same attributes and perfections (Gen. 1:26; Deut. 6:4; Isa 6:3). 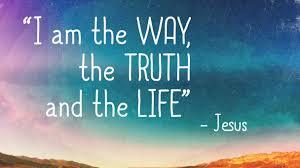 Section 3:The Person and Work of Jesus Christ – We believe that the Lord Jesus, the eternal and only begotten Son of God, having been conceived by the Holy Spirit and born of a virgin, became man, without ceasing to be God (Phil. 2:58). Jesus Christ is full deity because He is God, and He became fully human as a man. He did this in order that He might reveal God in His righteousness, and redeem man in his sinfulness (John 1:1; 14:9; Isa. 7:14; I John 4:14). We believe that the Lord Jesus Christ accomplished our redemption through His literal death on the cross as a representative, vicarious, and substitutionary sacrifice. Our justification is made sure by His literal physical, bodily resurrection from the dead (I Cor. 15:1-4). We believe that the Lord Jesus Christ ascended to heaven, and is now seated at the right hand of God the Father (Heb. 12:2), where as our High Priest He fulfills the ministry of Mediator, Advocate and Intercessor (I Tim. 2:5; I John 2:1; Rom. 8:34; Heb. 7:25). We believe in that “blessed hope,” which is the personal, imminent, pretribulational, premillennial coming of the Lord Jesus Christ for His redeemed ones. We further believe in His subsequent return to earth with His saints, at the end of the tribulation period, to establish His millennial kingdom (I Thess. 4:13-18; Rev. 19:11-20:6). Section 4:Salvation – We believe all men are sinners (Rom. 3:10,23) and in need of the saving work provided by Jesus on the cross. This salvation is a free gift from God (Rom. 6:23) to all who will believe and receive (Rom. 10:9-13; John 1:12). Salvation is by grace alone, plus nothing and minus nothing. The conditions to salvation are repentance and faith (John 3:16; Eph. 2:8-9; Gal. 2:16). 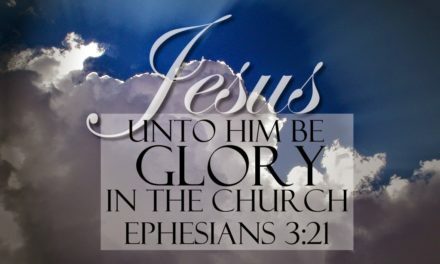 Section 5: The Church – We believe that the Church is the body and bride of Christ (Col. 1:18; Eph. 5:2529). This body is a spiritual organism that is made up of born-again, baptized believers (Acts 2:47; I Cor. 12:13). We believe that the local church is autonomous (i.e. free from any external authority and control), and self-governing under the control of Jesus Christ, who purchased the church with His own blood (Acts 20:28). We believe that the church has been commissioned to spread the Gospel throughout the world (Matt. 28:18-20; Mk. 16:15). The two ordinances of the church are the Lord’s Supper and Baptism. The two offices of the church are that of Pastor and Deacons (Phil. 1:1). NextBaptists Helping Japan! How You Can Get Plugged In?